Why are transformation for CAD (DWG) and SVG formats are important? Alfresco is being used by a number of organisations worldwide for storage of digital assets. As it’s no surprise, these assets include drawings (DWG/AutoCAD) and SVG images. Even though small in file size, these formats can contain large amounts of information. So far, Alfresco have not had support for file transformations for CAD and SVG formats. This was keeping some of the customers away from using Alfresco as a day to day storage for their digital content. Today we are happy to announce that we built a transformations module that is completely open source with support for third party components. This means you can use it for free and contribute some of the amazing transformations you have built on your own. 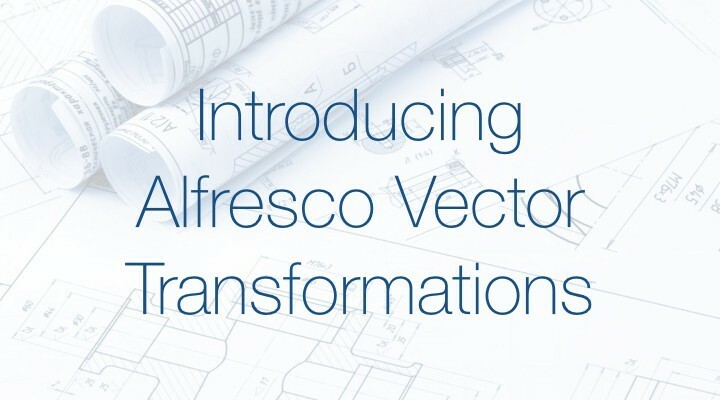 We called it Alfresco Vector Transformations module. At first, this module contains configurations and additional transformer configurations that would allow following transformations inside Alfresco. As you may know, converting to PNG opens up possibilities to convert to many other file formats including JPEG. We hope to continuously add support for more third-party transformations components as well as make this module a must-have for every Alfresco installation. For the transformations, we are using the following third-party components. If you are planning to use these transformations in a commercial offering, please consider supporting the authors. Although we are using open-sourced components for transformations it will not keep us from adding support for commercial transformation engines that would likely improve the performance and quality of transformations. 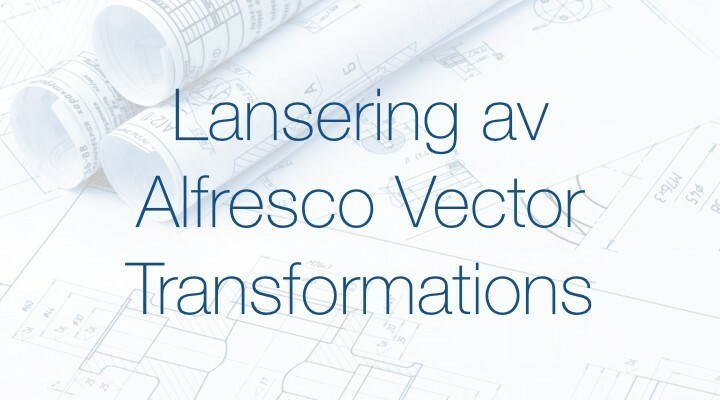 We are making Alfresco Vector Transformations Module as open source with GNU LGPL v.3.0 licence today. This means you will be able to use it in your commercial projects as well as contribute your custom transformations back to the community. We invite you to make this the best open-source transformation module for Alfresco. Zoomable for Alfresco will come bundled and pre-configured with Alfresco Vector Transformations module. Zoomable for Alfresco allows lag-free zoom and pan capability for large sized digital content including photographs. It’s amazing and you can read more about it on our blog post and the product page. Just to make it easier for you to have a look, click the following link for a preview of how engineering documents can be previewed quickly inside Alfresco, or outside through Alfresco QuickShare. The above image(s) are only used for demonstration purposes only. Copyrights held by respective parties. If you’re an Alfresco partner/supplier who wants to provide an amazing image/digital content viewing experience to your customers, or want to use Zoomable module on your own Alfresco installation, please contact Peter at Loftux AB at . You can also use the contact form on our website and specify AVT in Subject. You can also tweet at us by mentioning @LoftuxAB on twitter. As always, we love to hear from you. You can access the code for Alfresco Vector Transformations Module on GitHub at the following location.